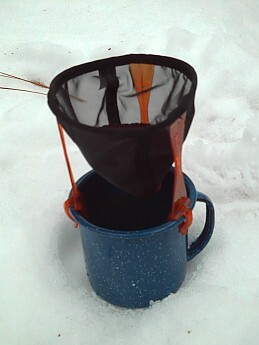 Another, even lighter weight way, to make decent coffee in the backcountry. I'm still getting the scoops-of-coffee-to-mug-size ratio perfected, but I can already say that this coffee maker is my new favorite. 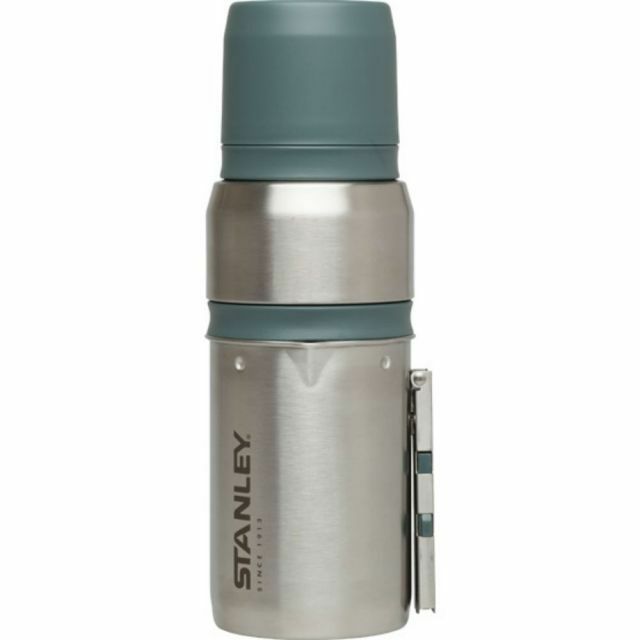 I used to use the H2JO but that required a Nalgene bottle to use and it is heavy compared to the GSI UL Java Drip. 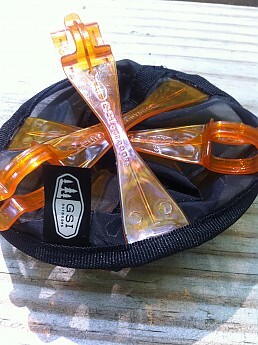 The GSI UL Java Drip is a mesh cone with three legs you attach to your mug of choice. You fill the conical bag with ground coffee, pour hot water over it, and there you go, fast coffee. What could be easier? 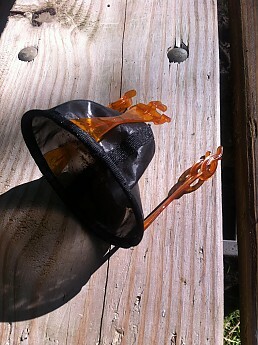 After you are done, shake out the grounds, rinse it, fold the legs up and slide it into your pack. Using paper filters would even make cleaning easier but I just used the sock alone. If you want you can even skip the rinse step and let it dry and shake the coffee dust out. One other way to save coffee; dip the sock into the coffee mug filled with water (like a teabag) to steep every last bit of flavor out of the grounds. And along that same save money line, did you notice that this gem costs only about ten bucks? Awesome! I think you get the idea of how it works. Test Conditions: Took it skinning (overnight ski tour) in the Icicle Creek area near Leavenworth, Wash. About 33 degrees and raining (miserable). Coffee was a must this day. Quality: The materials hold up to the abuse of being stuffed into my pack with the rest of the "kitchen." The legs are reinforced and stiff and the mesh is tough. I have not seen anything to worry me here yet. I also tried placing it inside my GSI Ketalist to keep it safe and it works too. Function: So easy, anyone can figure it out. 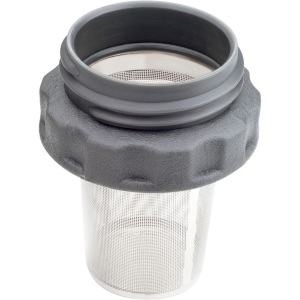 If you worry about cholesterol you can add a conical paper filter to the mesh and you're good. Size/Bulk: About the size, weight and bulk of a Pringles lid when stored. Just don't lose it, it's small. The mesh sock is finer than frog's hair and lets no grounds into the cup. Issues: None, just the cholesterol thing. 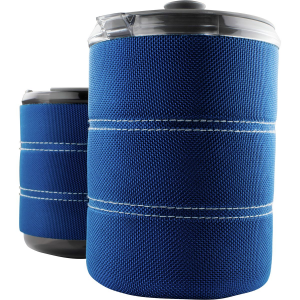 Who needs this: Coffee drinkers who are against carrying heavy stuff to make it. I know the Aeropress makes good coffee but damn, that's a lot to carry around. Truly, the only lighter option is instant coffee and no one wants that crap. Thanks for letting us know how the UL Java Drip is working out so far, Jeff! Nothing unnecessary and everything is made with light weight and ease of use in mind. 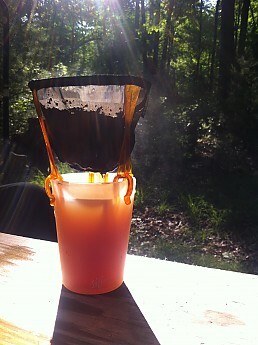 It doesn't get much simpler than this in terms of making good-quality coffee while on the trail or at the campsite. 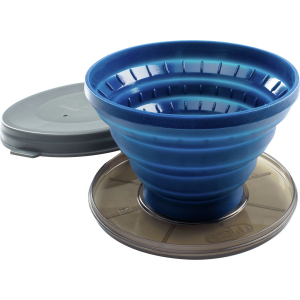 The GSI Outdoors Ultralight Java Drip takes the idea of a pour over coffee into the backcountry. The three clips attach to any coffee cup or camping cup that I’ve tried so far. My go-to cup has been a Silipint Half Pint. 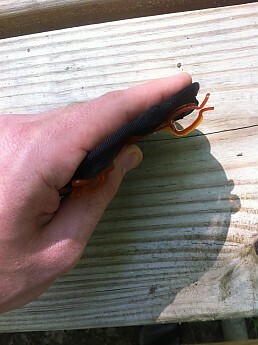 The clips, while plastic, seem strong and hold steady when in use. 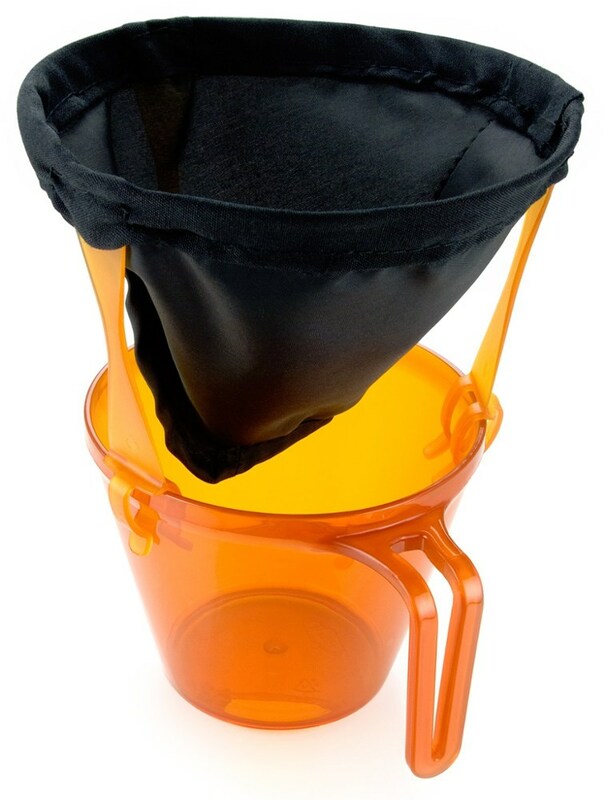 I suppose a super-wide mouth cup may be difficult to attach to, but manually holding it over the cup is also an option, as is letting the cone rest in the liquid itself like a giant tea bag. 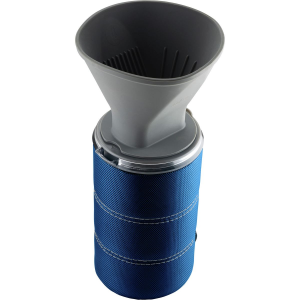 The fine mesh cone is really, really fine mesh and cleans up incredibly easy. Most times, after use I just flip it inside out, rinse, and sit it out to dry. Dries fast and then packs down to ideal size. Fits into my cooking pot without even noticing it’s there. Trailspace was kind enough to provide these as gifts to last year’s top reviewers. 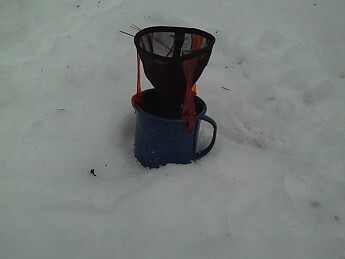 Since February 2016, I’ve used this Java Drip to make coffee on at least two dozen occasions, some on the trail, other times at the campsite, and even once in the office (my colleague didn’t know what a pour over was so I used this as a demonstration). Great for providing a lightweight brewing option for coffee drinkers. I'm glad to hear you've been able to put your prize to use, Kiwi. Thanks for letting us know how it's working out. Great product! 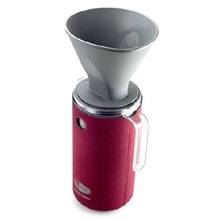 I used to use a solid molded, one cup coffee drip that required a small paper filter. This thing requires no filter, and I have had no problem attaching it to any of the cups that I've used, and the coffee tastes good. I've actually used one of the legs as a coffee stir on occasion. 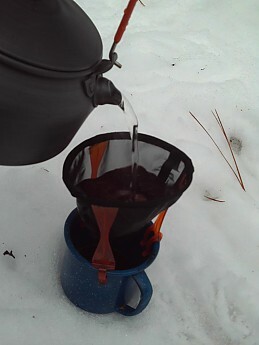 I've also had several other campers "double-take" as they watched my coffee brew in process! The only negative thing I can say is that it seems to take a bit more grinds to achieve the normal strength coffee that I am used to. Perhaps if the rate at which the water filtered was just a tiny bit slower, it would not require so much grinds. However, with my second cup, I just add onto the first set of grinds (a bit less) and achieve the normal strength, relative to the amount of grinds, that I am used to. Keep in mind, this added amount of grinds also slows the rate of water filtration, so your second cup will take maybe a minute longer. I've used this thing on multiple trips and it seems pretty durable as well. Clean up is simple enough -toss the grinds and rinse with water. Bottom line - great lightweight / space saving product! Nice product, if you want to spend that kinda time and effort to get a cup of joe. Personally, after a long hike and early morning call, I find I am just as satisfied with the instant packs available. But, if you want to go thru the motions, this isn't bad. Before taking it out on the trail, I tried it at home. It worked fine and made a decent cup of coffee. It's a fun gadget, if you want to go to the trouble of packing grinds, setting up your cup, etc. Welcome to Trailspace, Kenny! Out of curiosity, which instant packs do you prefer for your on-the-trail coffee? Most of the time I just use Tasters Choice, although I double up. I have used starbucks and its pretty good and some other instant Italian I cant pronounce. And, sometimes dump it into hot chocolate. I find all pretty good since my appetite is raging when I am on the trail. tried it , liked it !